Yoga Mat: How to chose right one for awesome practice. When you practice yoga, there is one constant companion for each class, without fail : your Yoga Mat. In earlier times, when Yoga was practiced only in ashrams, folded blankets were used as base for deeper practice. Or even Kusha grass before that. Which is not the case anymore. 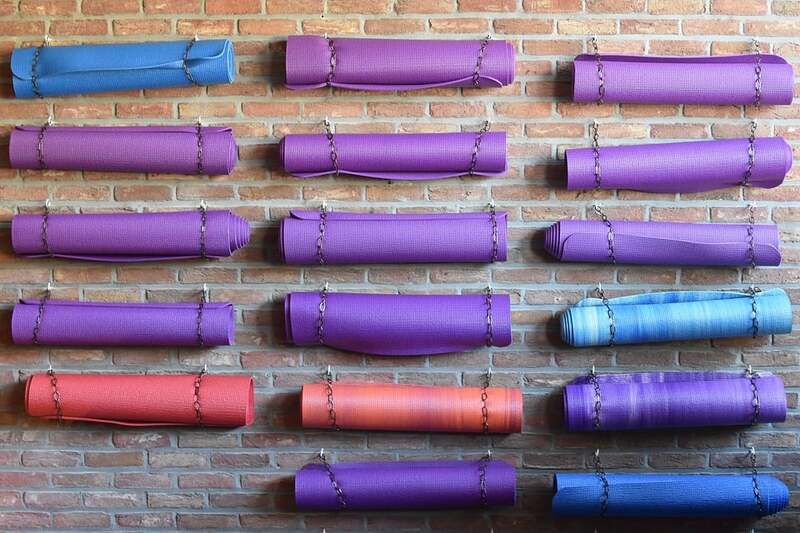 Now you have yoga mats in yoga studios, throughout the world. One of the main reason is the scarcity and cost of such rugs. The other factor is that ashram environment was totally different from what you have in your city based yoga centre. A question sometimes asked is: Why do we need to practice on mat? Why can’t it be done on floor? Why you should not practice on bare floor? Can you practice on bare floor? It is normally advised ‘not’ to practice yoga ( asana & pranayama) on bare floor. In most cases floor is cold as compared to your body. So, when you lie down on floor like in savasana, your body is busy in keeping itself warm against cold floor. Hygiene. Unless it airtight room which is specifically used for Yoga practice only, there are high chances that you will have hygiene issues when practicing on the floor. Bare floor absorbs your Prana. When you practice, you generate Prana in your body. A mat acts bad conductor between you and bare floor during your practice. What else are the benefits of yoga mats? Any serious practitioner can relate to this, that just like choosing good quality shoes is important for activities like running, jogging etc.Because it provides protection, improved performance. Similarly a good yoga mat can effect your practice in many ways. Cushioning. 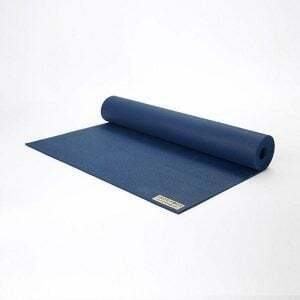 A proper yoga mat, provide cushioning to your knees and other joints while pressing down on the floor. Marking your space. Your mat marks your space for practice. For you as well as to others at the studio. Grip. The textured surface of a good quality yoga mat is also designed to provide you proper grip for better alignment & practice. Over time, your mat becomes part of your identity and practice. With each practice session, you develop your grip on your mat, you know where to place palms while doing downward facing dog posture or head while doing headstand. Basically, your practice quality gets better on same mat, as compared to practicing on a different mat each time. Thickness: A thin mat makes it difficult to practice, let’s say, suryanamaskar. Your knees will feel the hardness of floor beneath and it won’t be easy experience. If too thick, that makes balancing posture difficult. As general tested experience, anything between 4–6mm of thickness is good mat. I have practiced on both 4mm and 5mm mats, and they are both good. Length: There isn’t much choice here, it is more or less standard between two sizes of 64” and 72”. And that suits nearly everyone. Unless, you are practicing simple sitting postures on soft/wooden floor, stay away from cheap plastic material based thin mats. Don’t even try them. Many of my fellow practitioners (including me) have tried different varieties of them. And without fail, we were disappointed in matter of few classes. So they are out of question as recommendation, it’s better to use folded blanket in comparison. When your practice gets deeper, first thing you will require is a better mat. At slightly better position is, mid range, rubber mixed (natural or japanese) mats, they will suit most of yoga sessions. They are more than capable of doing there job and with proper maintenance, they will last longer than expected. But they can’t be bought blindly. Few of manufacturers apply too much oil based product in mix, causing the mat to be slippery. So always try a sample or read reviews about any such thing while buying. Then comes the top of line mats of manduka, jade yoga, etc. They are expensive, of high quality and durable material will very good grip. Also they tend to last longer than other mats and thus their cost of ownership comes down to mid range mats over time. Only problem is they are not cheap and also not easily available in most countries. The top 3 mats listed here are all top quality, hence their numbering is not to be taken in serial order. This one is my personal favourite. It is made from 100% rubber. Hence it provides traction even in humid, sweaty situations. At nearly 4.5 mm thick, and made of rubber only, it is little hard for taste of many practitioners, hence keep that in mind. I use it by placing it on top of other simple mat and it gives me just right amount of cushioning and grip for a wonderful practice. 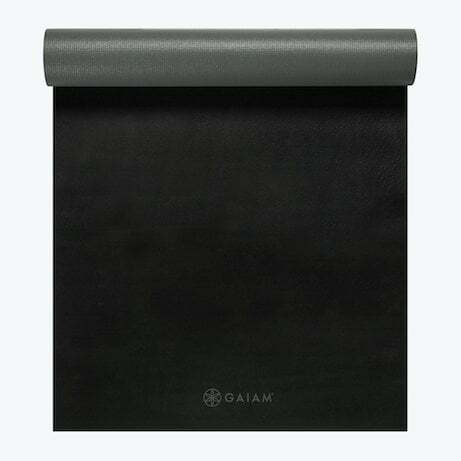 For those who don’t like JadeYoga one due to it being rubber heavy, Gaiam Duramat is completely rubber-free. It is 5 mm thick, which means it provides cushioning to the body and still it is sufficiently sticky. It is slightly longer and wider as compared to standard sizes and thus it provides ample space to spread out in practice like savasana. Some people are allergic to latex, for them rubber free options are most suitable and this mat is right on top for that. 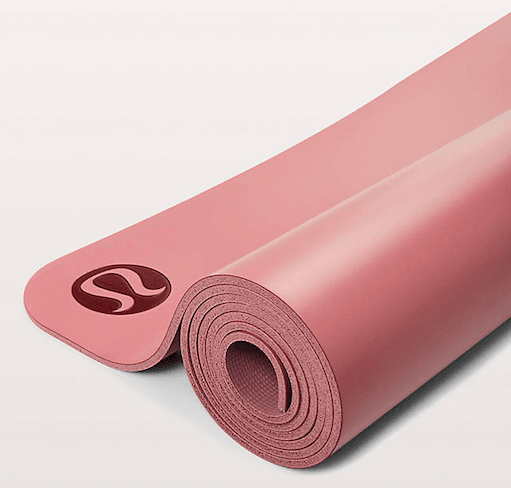 This reversible mat from Lululemon has two sides, a smooth “sticky” polyurethane side that provides soft cushion touch to your hand and feet. The other side is spongy natural rubber “grippy” side that provides traction. The issue with providing both features in one package is the size and weight. This mat is on the heavier side and quite big when on floor. Moreover the sticky side tends to pick up dust & smudges, thus requiring regular cleaning. These mats are considered rolls-royce of yoga mats. They provide all the features of above mentioned mats, but they are priced on higher side. You just have to pick what you like from their wide range and you won’t regret. In my personal opinion, I would recommend you to invest such amount only after regularly practicing for few months. In this much time, you will have clear idea what you require out of your mat and thus will make a more informed choice. Just like anything else that is regularly used needs care and maintenance, your Yoga mat too needs care. Proper care & regular cleaning can prolong the life of your Yoga mat, while giving you same feeling when you first bought it. Keep away from sunlight. Sunlight dries out your mat over time. It starts by hardening the material and then breaking it down over time. Don’t leave your mat in your car. If you travel to your yoga studio in car, there are chances that you keep your yoga mat in your car. Just don’t leave it there. For reason similar to previous point, it can really harm the material of your Yoga mat. Clean regularly. Gently scrubbing your mat with cotton cloth dipped in very mild detergent is all it takes to clean your Yoga mat. Dry it out in shade though. That’s it. That is all it required to maintain your Yoga mat as new as you bought it. My mat has survived 3 years of regular practice and it is still going strong. All due to above mentioned points. If you don’t travel carrying your mat or you simply don’t want to invest in an expensive mat right now, then you can try this workaround of buying an expensive mat. Buy two mats, one cheap, one medium. place cheap on floor and better one top of it. This way you will both, better cushioning and good grip for your practice.